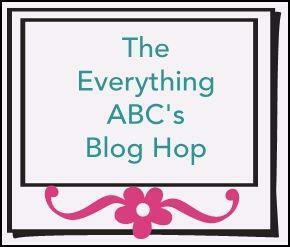 The Everything's ABC's blog hop letter "O"
chosen as their O element will be featured in their post. If you came from "Shalana's blog Scrappin with Shalana" then you're on the right track! a CTMH stamp set that is retired, and the sentiment is stamped in olive. The back round paper is also CTMH, from the retired paper pack Florentine.